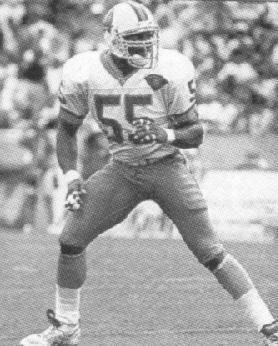 11 different players wore the No.55 jersey for the Buccaneers through their first two decades of existence. Some real one-game wonders and none of them made more than a couple of starts until Jesse Solomon came along in 1991. 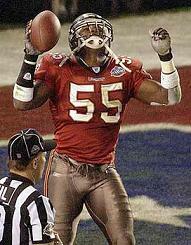 And then came Derrick Brooks, quite possibly the last Buc player to ever wear the number too. 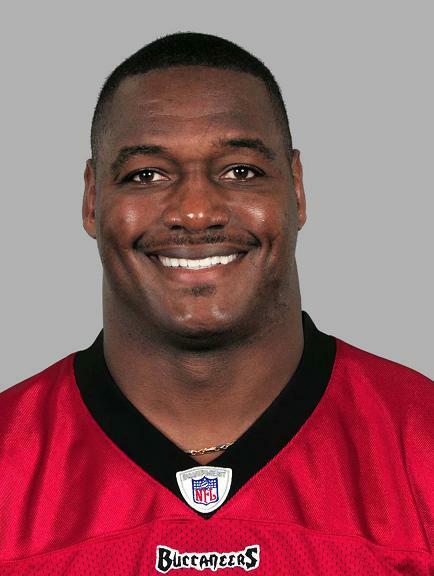 A perennial Pro Bowler, a team leader and also the 2002 NFL Man of the Year. How fitting he scored a touchdown on the greatest night in franchise history. Solomon was a headcase who was soon on his way out of Tampa after less than a season, and Lonnie Marts only wore 55 for one season before switching numbers to his preferred 51. 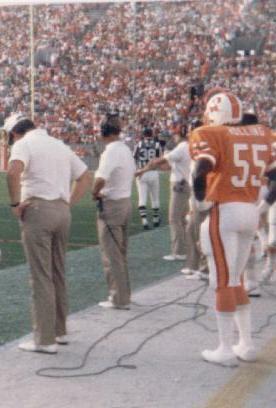 The remainder of the 55s were nothing more than names on a Buc trivia feature. Danny Spradlin was a two-year special teamer who had arrived from the Cowboys and Henry Rolling was a back-up under Ray Perkins who I remember talking with on the sideline of a game in 1988.